The book is a modern version of George Orwell's novel "1984 projected 100 years into the future.It was originally intended to be a sequel to the authors first book but soon developed into a science fiction novel. A worldwide "planetary system of government has come to power to assure that deviant forms of terrorism no longer exist. Emphasizing strict adherence to governing council regulations prohibiting citizen dissent, it soon becomes a militaristic, totalitarian society requiring dedication to the "common good" with little respect for individual rights. Although mankind has established colonies on the moon and the planet Mars, society is still coping with what appears to be the eternal struggle for freedom. 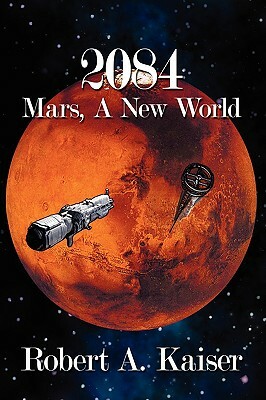 It takes the rugged pioneering spirit of the inhabitants of Mars to incite a revolution that will eventually result in the reemergence of original democratic ideals. Author Name: Kaiser, Robert A.